The staff of Adventure Park Insider at ACCT. L to R: Liz Mettler, Rick Kahl, Olivia Rowan and Sharon Walsh. Workshops will be offered in three tracks: Canopy/Zip Line Tours, Facilitation & Programming, and Industry & Business. Workshops will begin with pre-conference programming on Feb. 2, running throughout the conference, and following up with post-conference workshops on Sunday, Feb. 5. Those interested in the ACCT Inspector Certification program are encouraged to visit www.acctcertifications.com to determine their certification eligibility. Scholarships are available, and will cover conference registration fees and a pre-conference workshop. Those wishing to apply must demonstrate an intention for a continued career in the challenge course field, interest in projects that contribute to the challenge course industry above and beyond employment in the field, demonstrate a passion for the industry, and a need for financial assistance. Scholarship applications are available at www.acctconference.com. The 2016 conference brought nearly 1,100 builders, educators, and challenge course, zip line, and adventure park operators to Lost Pines, Texas. The 2017 conference could exceed that figure. Registration for the 2017 conference is available online at www.acctconference.com. 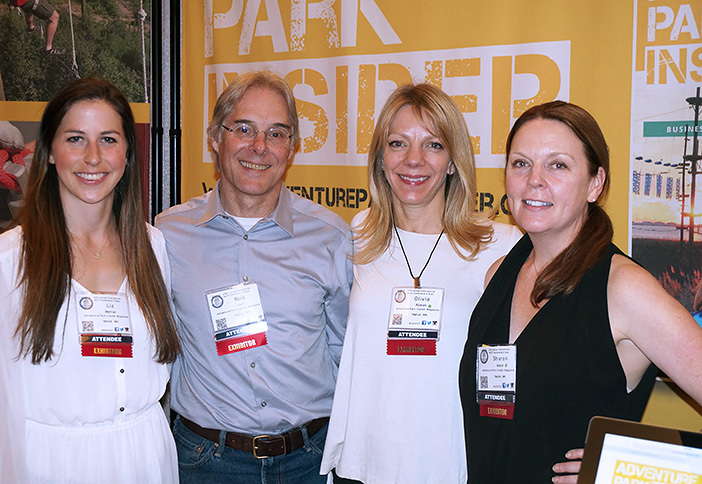 Visit the Adventure Park Insider team at booth #1015!